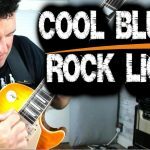 Rock guitar backing track for E minor jamming. Practice jamming in a ‘dirty’ rock style similar to bands like Guns’n’Roses, Motley Crue, Love/Hate and others. 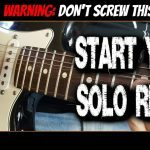 Practice rock soloing, guitar scales, new lick ideas or creating riffs of your own. This guitar backing track and my other tracks are perfect to use with my video lessons and tutorials on my channel. The backing track is in the key of E minor so try using scales like E minor pentatonic, E blues scale or E natural minor scale (also called E Aeolian mode). Try some open string scale shapes too, these can sound great in this style! Be sure to use all your familiar rock techniques too, like string bends, pinch harmonics, repeating licks, and fast alternate picking licks.